I lead an occasional, informal discussion group at our church called “CoffeeTalk.” Each time we gather I remind us that CoffeeTalk is not about the coffee but about the conversation, a conversation rooted in loving others the way we want to be loved, which means doing our best to listen to each other and to learn together—even around controversial topics. I said to the group that these kinds of issues come down to two questions: “How do you know?” and “Whom do you trust?” These are, I submitted to the group in a follow-up email, the crucial questions of our age. In a world of instant, global information and opinion, how do we sift through all this to find the truth? Since anyone can claim anything about anything on the internet, it seems anyone can prove anything about anything from the internet. So how do we know what’s true? The answer to this comes down to the other question: whom do we trust? Most of us are not experts in atmospheric science, or Islamic theology or practice, or the mysterious inner workings of Dodge Grand Caravans. None of us is an expert in every area of knowledge. But here’s the thing: it seems that each side of a debate can call upon an “expert” to back them up, like expert witnesses for the prosecution and the defense in a murder case. It doesn’t matter the issue. Global warming. Human evolution. The historical reliability of the Bible. The threat of refugees-turning-terrorists. What to do in the Middle East. Some have noted a trend away from public trust of experts, and I think there’s some merit to that analysis. But I’m not entirely sure that’s the case. It seems to me that often it comes down to this: we don’t trust the “experts” on the other side of the divide from us. We trust the “experts” that agree with us; the “experts” on the other side are either illegitimate or they’re paid off by someone or they’re part of some grand conspiracy. We intuitively recognize that it’s good to have an expert on our side. Yet it seems there’s an expert on every side. So what do we do? I’m not likely to say anything on this that will convince anyone who doesn’t know me or trust my judgment on such things (again, that’s the issue, isn’t it?). But for those who do know me and find the way I think to be at least somewhat compelling, here’s how I try to walk through this particular epistemic minefield. Where experts disagree, I go with the strong majority of experts in the field—not unanimity (good luck getting trained independent thinkers to agree on everything), and not even consensus (that might be ideal, but it’s often impractical), but at least a strong, clear majority. And where there is no strong majority of experts, I’m inclined simply to say, “I guess we don’t really know for sure”—and then strive to live in faith and hope and love anyway. In time, a strong majority may emerge. 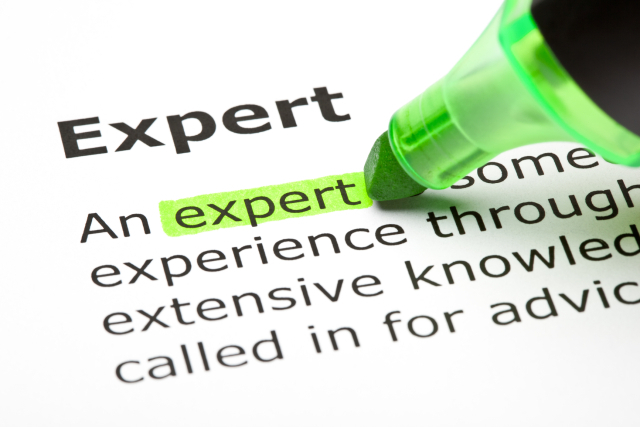 Of course, experts are swayed by all kinds of things—they are human. It’s quite likely some are swayed by the government grant money they get, or the extra bonus from that oil company, or by an ideology they’ve come to adhere to. But this is why that “strong majority” is so important. Again, having participated among experts, having gone to numerous academic conferences, I know that all those personal biases don’t normally come together into some large-group bias. Rather, the group acts as a system of checks and balances and such individual biases tend to get leveled out in the group. After all, academics are a pretty critical lot, by both temperament and training. That, again, is why the “strong majority” is so significant. If somewhere around 95% of published climate scientists from around the world say climate change is real and human activity is the root cause, for example, then, since I’m a non-expert in climate change, I’m going to believe them. Quite frankly, the idea that this many scientists from this many countries employed by a mix of public universities and government agencies and private companies and NGOs are involved in some giant hoax is, to me, far harder to believe than that these scientists are simply correct. This “strong majority” of experts is important. It’s why we know the earth is round, that it revolves around the sun, and that it’s 4.5 billion years old. It’s why we know the Bible is a collection of ancient human writings from multiple cultures across centuries. It’s why we know that fascism has a terrible track record, as does any system that places too much power in the hands of too few with no checks and balances. It’s why we know you can stick a cryoballoon catheter up someone’s vein to their heart, inflate the balloon with nitrogen, scar the surrounding tissue, and so have a good shot at correcting atrial fibrillation (okay, I only know that because a friend is having that surgery done this week—amazing). The “strong majority” of experts has given us the knowledge and technology we all take for granted all around us. Imagine a world without modern medicine, without high-speed transportation and communication, without electricity. Imagine a world without constitutional democracies or declarations of human rights. All this and more is the result of the accumulation of expertise, experts collaborating together, building on the expertise of those before them. Ironically, it is only because of the expertise of experts that someone blogging in their basement can rail against experts and their expertise. And so, at the end of the day, I’m with the experts. No, I don’t believe everything every expert says, even on their area of expertise. My own experience with expertise has taught me that. But trusting in the strong majority of experts has done us pretty well as a human race—this my experience with expertise has also taught me.